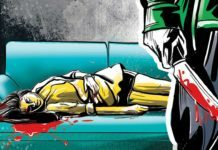 A 15-year-old Sikh girl was allegedly raped by two persons in an ambulance in Pakistan’s Punjab province, the police said on Sunday. The girl, said to be mentally unstable, had gone missing on Saturday from a gurdwara in Nankana Sahib city, some 80 km from here. When she did not return, her family informed the police.